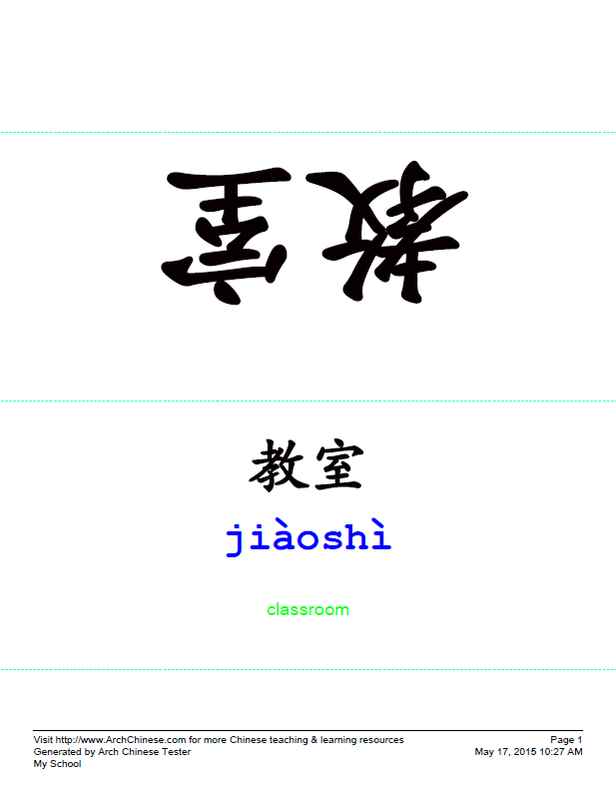 This tool allows you to create nameplate-like flashcards with Chinese and optional pictures on one side and English and Pinyin on the other side. You can fold along each of the three folding lines and glue the two bottom folds of the nameplate together to form the bottom of the nameplate. The students can put the Chinese word nameplates on their desk and use them to learn Chinese characters and words. Enter the title of the flashcard set, such as My Family. The title is used to identify the word list and it is required to save the list to the server for future use. 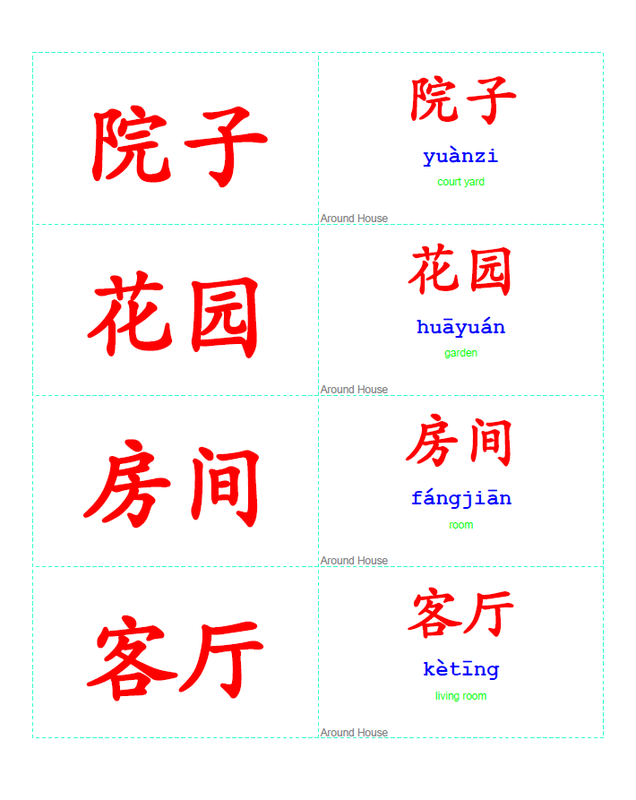 Enter the definition of the Chinese character or word. You can click the E button to let the system fill in the definition for you if the Chinese is a single character or a commonly-used word. The Chinese word should not be more than 4 characters long. Optionally, change the default flashcard settings. The settings are self-explanatory. Click the color buttons to bring up the color pickers for Chinese, Pinyin and English text.